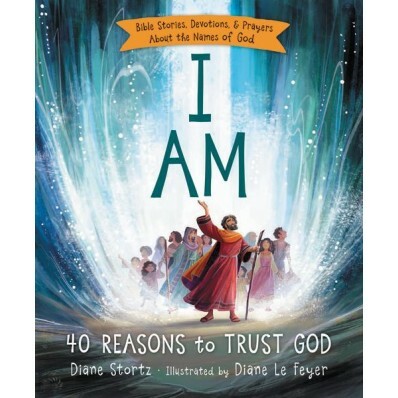 Show your little one the character of God with I AM: The Names of God for Little Ones. Capturing the names and characteristics of God through short Bible stories, Scripture, and bright illustrations, I AM: The Names of God for Little Ones helps you learn about God in a way that will draw even the youngest child. Children will close the book feeling loved, protected, and secure in the arms of the great I AM. Perfect for kids ages 2 - 6. Written by bestselling author Diane Stortz and illustrated by Diane Le Feyer. 8" x 8" x .9"